3 generations dressed as Christmas. 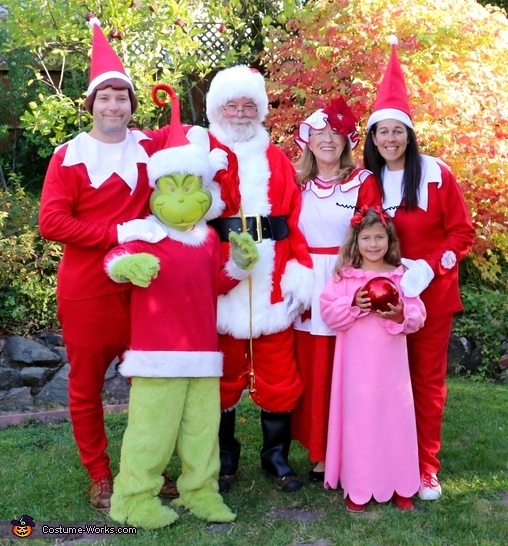 The Cindy Lou and Grinch costumes were handmade by Grandmother (with exception to the mask and hat for the Grinch). A bag of candy canes were passed out and enjoyed by all. Some kids came and told Santa what they wanted for Christmas. It was such a fun theme!